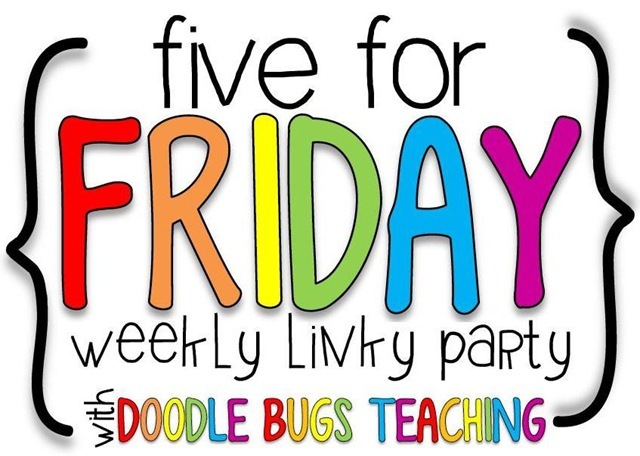 BigTime Literacy: A very late 5 for Friday! I had such a great week last week and have been wanting to post but have been busy and relaxing. But, it's time now for Five for Friday! 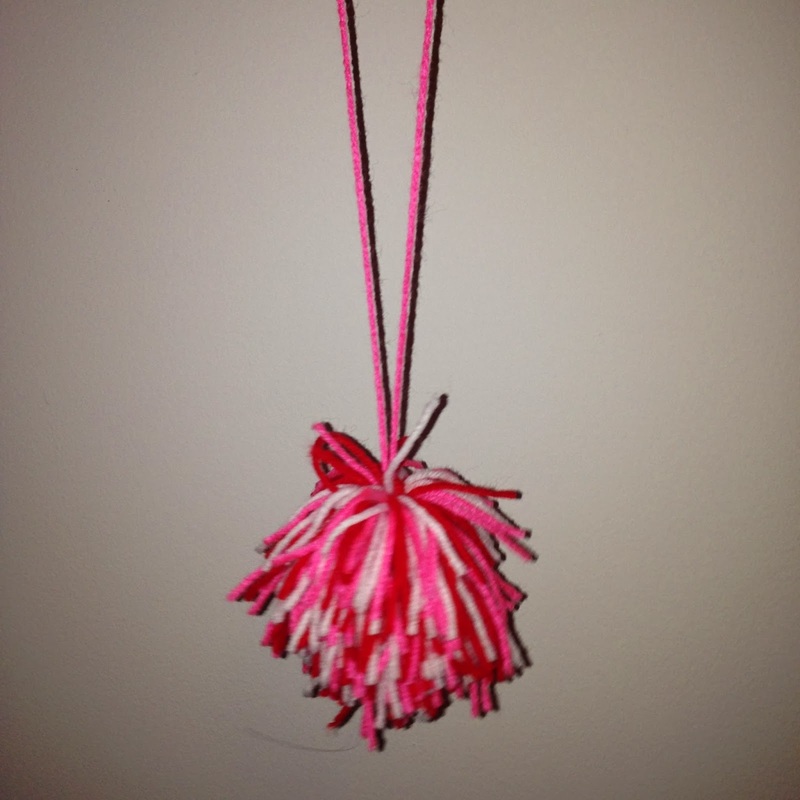 Linking up with Doodle Bugs Teaching to share mine from this past week! 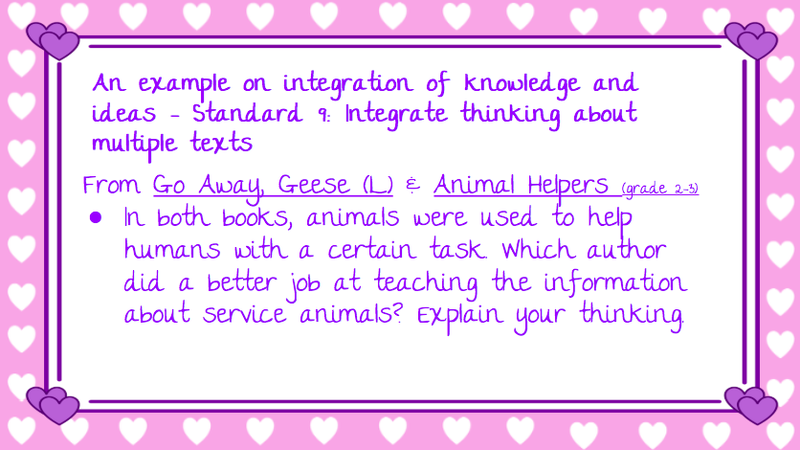 Teachers then had time to look at one of their guided reading books or an article they were planning to use and figure out questions they might ask. This session was great, too, because a first grade classroom asked me to come model this in their classroom. It's strange - because I've been reading lots about close reading, but haven't got to teach it yet...super excited for next week in a first grade cotaught classroom! On days when I present to our staff, I always make it a point to get a little more dressed up, so on Wednesday I was wearing a dress and pink sweater, some bigger jewelry, and I did my hair and makeup more than I usually do. A few hours after our presentation, I was walking down the Kinder hallway and passed by one of our sweet little guys who said in the sweetest voice, "You look beautiful, Ms. B." It seriously made my day! I love it!! Kids can really see the importance of sound sorting as they read hunt through their books and they get so excited to find words and read them! I've been doing these every year since my first year of teaching... always with middle school, until this year! This year I asked one of the kinder teachers if I could try them with her class. 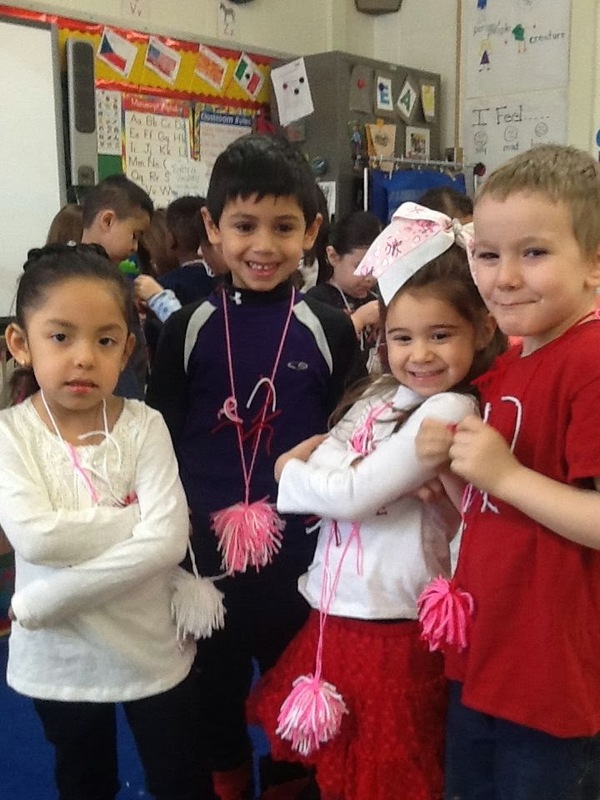 Aside from me not realizing the fine motor skills they need to tie little strings - they loved them! "Thank you for sitting by me at lunch." "Thank you for helping me with my sound sorts." 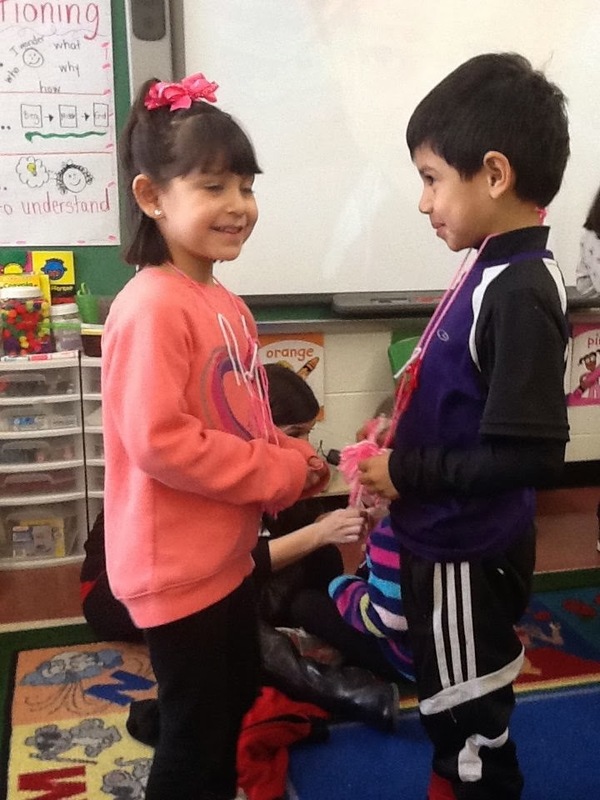 Additionally, a parent had emailed the classroom teacher about another question, but mentioned how she loved that the kiddos did this activity together. Winning! My Valentine's Day was pretty great, too! I had no idea what we were doing - the bf planned it all! We went to dinner at a Vietnamese restaurant...my Pineapple Calamari was served in a halved-hollowed-out pineapple and the bf's mango and coconut beef was served in a coconut. I'm not sure why I didn't take a pic, but definite points for creativity! We had a lovely dinner and got each other little gifts....couldn't ask for a better night! Hope you had a great week and are enjoying a much needed three day weekend!